Terry Gilliam isn’t your average filmmaker. His fantastical vision, childlike wonder, and manic energy have decorated his long career with some of the most distinctly imaginative films of the 20th Century. When he announced his intent to make a film inspired by the legendary Don Quixote, it felt strangely befitting. 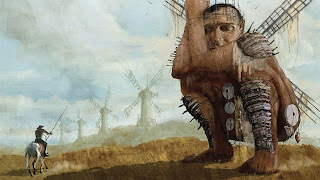 Teetering on the brink of sanity and adamantly defending romantic ideals, Don Quixote’s essence mirrors Gilliam’s own: they are both passionate men with a unique take on the world around them. 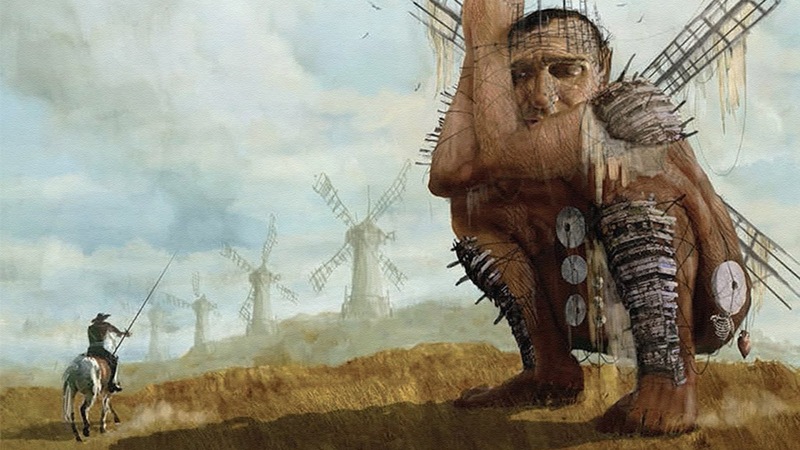 Gilliam had the tenacity of Quixote attacking a windmill during the film’s creation, facing so many epic setbacks that it inspired the 2002 feature-length documentary Lost in La Mancha. 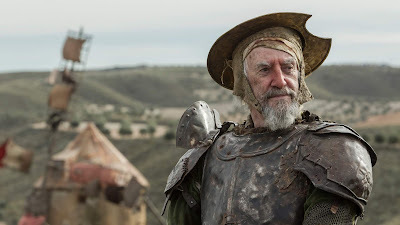 At long last, about three decades after the film’s conception, audiences are finally able to see The Man Who Killed Don Quixote, and while the release of the film is vastly limited, fans can finally rejoice that Gilliam’s pet project has seen the light of day, and it captures the spirit that so many have come to love about him. While some might assume this film is a straight retelling of the Don Quixote tale, it is actually a self-reflexive story exploring filmmaking and personal identity. 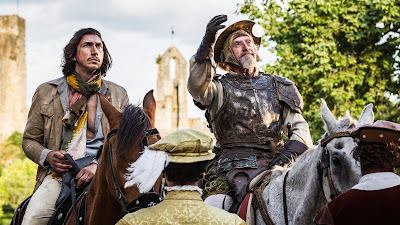 Toby (Adam Driver) is a jaded director shooting a commercial in Spain when he becomes entangled with an elderly cobbler who believes himself to be Don Quixote after Toby had cast him as such in an old student film. The cobbler immediately mistakes Toby to be his trusty sidekick Sancho, and much to Toby’s chagrin, the mismatched pair stumble into an unusual sojourn that blurs the lines of time and reality, ultimately forcing Toby to re-examine his self-absorbed life. The surreal nature of the film mandates exceptionally talented actors to make the somewhat cartoonish characters believable, and that is exactly what Adam Driver and Jonathan Pryce do. 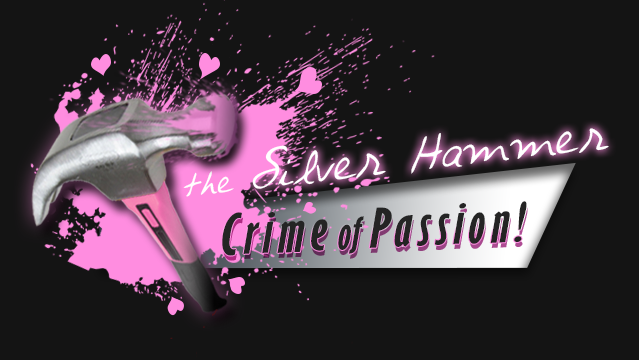 Both leads maneuver Gilliam’s nuanced script with the utmost aplomb. Never has a single film shown Driver’s range as well as this one: his foul-mouthed rants are laugh-out-loud funny in one scene, while his lamentations for lost loves are heart-wrenching in the next. Jonathan Pryce plays his delusional but well-intentioned character with such compassion, charisma, and bombastic energy that his eccentricities become endearing. After watching the film, it’s hard to imagine anyone else in those roles, but once upon a time, they were intended to be played by Johnny Depp and Jean Rochefort—before the project was indefinitely shelved thanks to its fair share of disasters, that is. While those two would have done a fine job, the current cast flourishes with the characters’ complexities in a way that feels as if they’d be unrivaled by their predecessors. One of the most striking characteristics of The Man Who Killed Don Quixote is its thematic and visual juxtapositions. Throughout the film, the old is contrasted against the new: dilapidated windmills reside alongside sleek wind turbines, characters in ornate 16th century period clothing intermingle with those in entirely current attire, and horses are ridden just as much as (if not more than) cars are driven. Anachronisms in this world come to feel as commonplace as its modernities, creating a fluidity that makes the outlandish scenario feasible. There is also a fluidity between fantasy and reality in the film that is ballsy yet graceful. We teeter-totter so often between the real and the imagined in this world that we eventually accept fantasy without hesitation. This is in part due to its pacing: the film barely has a moment to breathe. There is little to no down time once the adventure gets underway, and while it is dizzying at times, it also gives the narrative a stream of conscious, aggressive dream-like quality. The bizarre occurrences start to feel almost mundane through a sense of “dream logic” that takes over. Its increasingly hyperkinetic energy pushes the viewer along like a trippy locomotive and barely slows down until the very conclusion. 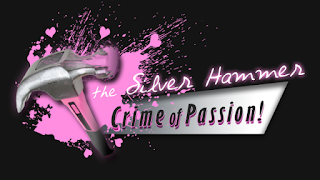 It’s a wild ride fueled by intentional chaos, but it somehow works far better than it should. The film screams “Terry Gilliam” to its benefit, but also to its detriment. It has a playfulness and whimsy about it that some of his recent endeavors have lacked, but feels necessary to rightfully belong in his filmography. The aesthetic of the film bears Gilliam’s signature style, boasting stunning wide-angle lens shots, twisting camera movements, and clever compositions. Unlike his other films, however, this one shows a level of restraint that some of his earlier works lack. Despite its chaotic momentum and visual assaults, it actually feels more grounded than, say, Baron Munchausen. Nevertheless, some of Gilliam’s telltale scatterbrained tendencies begin to rear their ugly heads and hinder what the film could have been. Its biggest flaw is perhaps a lack of focus that muddies Gilliam’s message. By the time we reach the end, one cannot help but lovingly ask, “What are you trying to say here, Terry?” Undoubtedly, there is an ongoing dialogue about what filmmaking can do to personal identity, and the importance of imagination and individuality in an overly pragmatic, judgmental world, but it could have been presented more clearly without losing much of its purposeful pandemonium. More than anything, the film is semi-autobiographical for Gilliam, which explains why he persisted for decades to see it reach the big screen. As a creative storyteller literally running away from the snares of a banal corporate career, Toby’s tale is essentially Gilliam’s own. As an aging, unapologetic square peg in a round hole, Gilliam wouldn’t refute his similarities to Quixote either; it is, in fact, likely why this story spoke to him. Despite the film’s lack of focus, the parallels between Toby, Quixote, and himself are clear. Epic adventures aside, this is a deeply personal film that comes from the heart, and anyone that has considered themselves a fan of Gilliam’s work should find an opportunity to watch it. The Man Who Killed Don Quixote is an ambitious, funny, and charming film for those that can appreciate Terry Gilliam’s quirks. It isn’t perfect, and maybe even a little sloppy at times, but what it lacks in execution is made up for in personality. At 78 years old, this could very well be Gilliam’s last film. If that’s the case, he can ride peacefully into the sunset knowing his career was capped with an entertaining, original film that was entirely his own.